Showcase your coastal style with the Hampton White Matelasse Twin Quilt. These nautical quilts are designed with diagonal stitching for a diamond texture. Ships from the manufacturer. Allow 1 to 2 weeks. Cannot express ship. 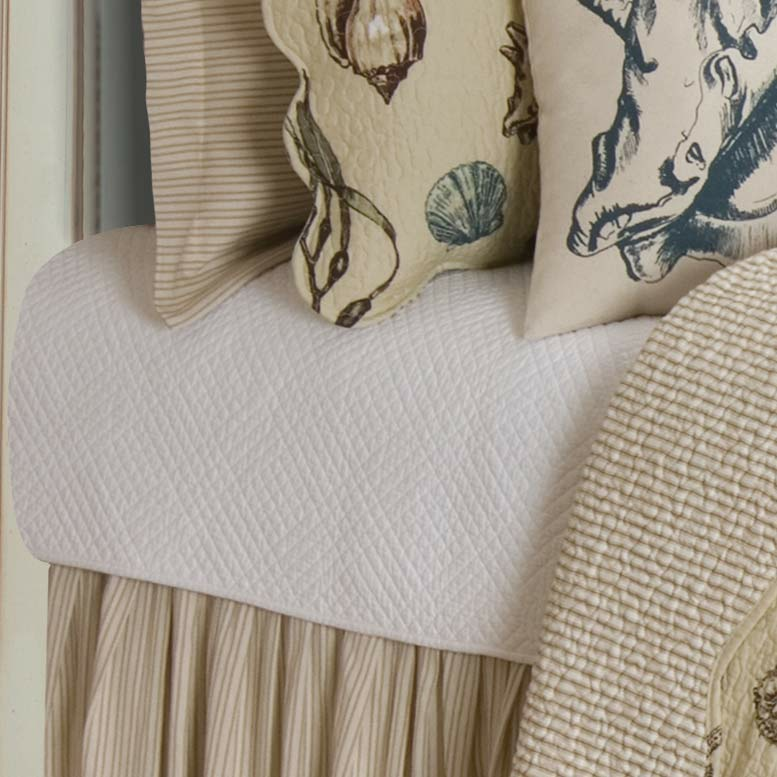 Combined with our nautical quilts, we strongly encourage you to take a minute to have a look at our wonderful assortment of beach bedding right now.